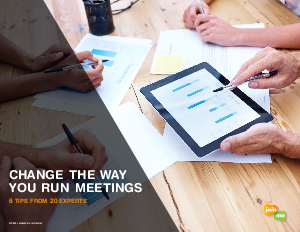 Meetings can be short or long, planned-for or ad-hoc, on-premise or remote. They can also be tedious, contentious, unproductive, exasperating, and a huge waste of time. We’ve all been there. We’ve all appreciated the meetings that went well and regretted the ones that didn’t. So why do people continue to have horrible meetings? It’s simple really; the world has changed, but for many people, the way they run meetings hasn’t. The workforce today is more mobile, virtual, and driven by speed, but many businesses still collaborate like it’s 1999, with legacy tools and legacy habits. Download this paper to read the assembled set of tips that can help guide you through the new world of collaboration so that, hopefully, the number of good meetings you have will outnumber the train wrecks.